Sydney, Aug 31, 2012 (Global Fashion Wire) - In collaboration with NSW Trade & Investment, Austrade and Fashion Group International, TFIA is delighted to invite you to our Fashion Export Cluster Workshop, which will focus on the nuts and bolts of how to build and promote your digital/online platforms. Come and join us to hear from some of the most knowledgeable experts working in this space. Matt's strategy work includes brand strategy, retail marketing strategy, customer insights and workshop facilitation, extending into store design, e-commerce, advertising, and loyalty programs. He has worked with many well-regarded established brands including www.shoesofprey.com & www.brandsexclusive.com.au and has participated in retail study tours to the USA, Europe and UAE. Heidi is a creative thinker and leader with a strong product, marketing and sales background. She has experience in translating visionary ideas into strategies, and will share some of the latest thinking and research around online global retail trends. Jane has always loved being around people and fashion and Jane Hayes Consulting gives her the opportunity to combine these two passions. In 2009, Jane co-founded 'The Spirit of the Black Dress' exhibition, which is now a top event on the Cultural Program calendar for The L'Oreal Melbourne Fashion Festival and provides a platform for emerging Australian fashion and textile designers. Jane is also the head of the Designer Cluster for the TFIA, taking the lead on digital promotional and sales platforms for Australian designers. Jane will speak about online Australain retail trends". "Digital Marketing of your e-Tailing Platform"
Elana is a whiz at Strategic Social Media development and deployment of ePR Campaign development and implementation working with many Australian fashion clients. Elana will speak on digital marketing of your e-tailing platform, helping you to translate your on-line profile into real sales. Temando offers freight solutions from over 200 different carriers across Australia and around the world, including www.theiconic.com.au. Formerly Head of Sales for the likes of eBay, Grays Online and The Intermedia Group, Ken will speak on the logistics of e-tailing. "Government Grants for TCF/Fashion Businesses"
Through AusIndustry and Enterprise Connect the Australian Government offers a wide range of grants and government support, including the TCF Small Business Program (SBP), which is likely to have its next round open towards the end of 2012. 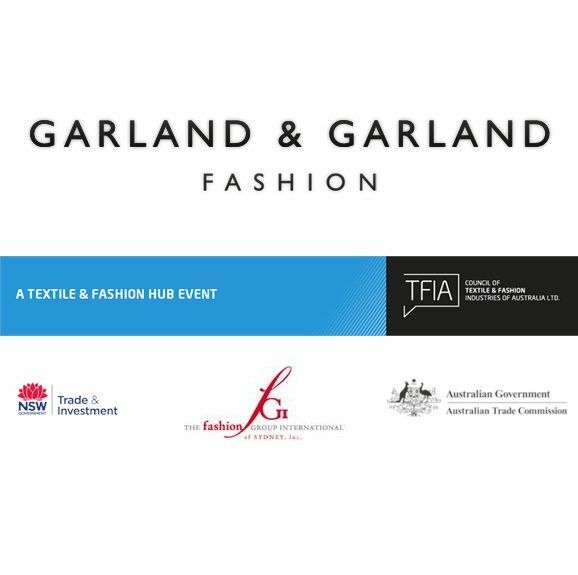 Shirley will speak on the grants available and how Australian fashion businesses can apply to support their efforts in developing their digital sales platforms to increase local and export sales. Margaret Szabo (Szabo Maternity) applied through AusIndustry's TCF Small Business Program in previous years, for support to build her on-line brand profile and sales. 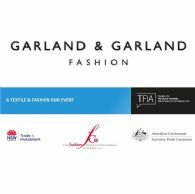 Phoebe Garland and her husband Robert have over 45 years' experience in the Australian Fashion Industry having worked with leading retailers and brands such as Table Eight, Lisa Ho, The Discovery Group, La Dame, Supre and Breakaway Australia. Becoming a fashion agent was an easy transition with Phoebe's extensive experience in advertising, publishing, strategic sales and knowledge of product branding and marketing. Phoebe will talk on her clients experience on embracing the potential for on-line retail and what it's meaning for fashion agencies in Australia.